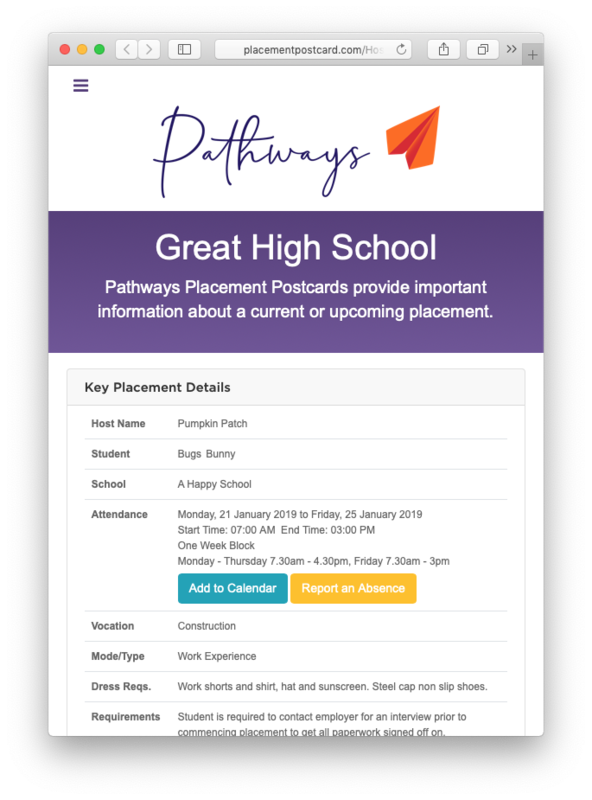 The Pathways Placement Postcard is a special web link containing all the key information about a placement in a concise, always up to date form. It is designed to be visited from any device including phones, tablets and PC’s and is usually emailed or sms’d to the student, host or parent. 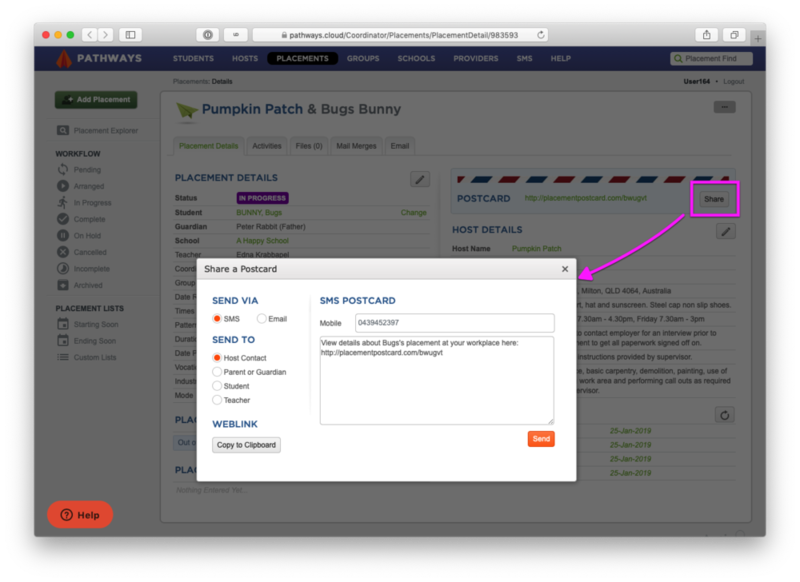 Postcards can be sent individually from the Placement screen in Pathways, or in bulk from the Groups screen. Send the key details of the placement in seconds directly from the Placement Details screen via SMS or Email. The recipient clicks on the link they receive and see the postcard with one touch. If you update the placement information in any way, the postcard reflects these.